Can you believe Christmas is less than three weeks away! I’ve kind of left my Christmas shopping to the last minute this year, I’ve bought one gift so far which is very unlike me! 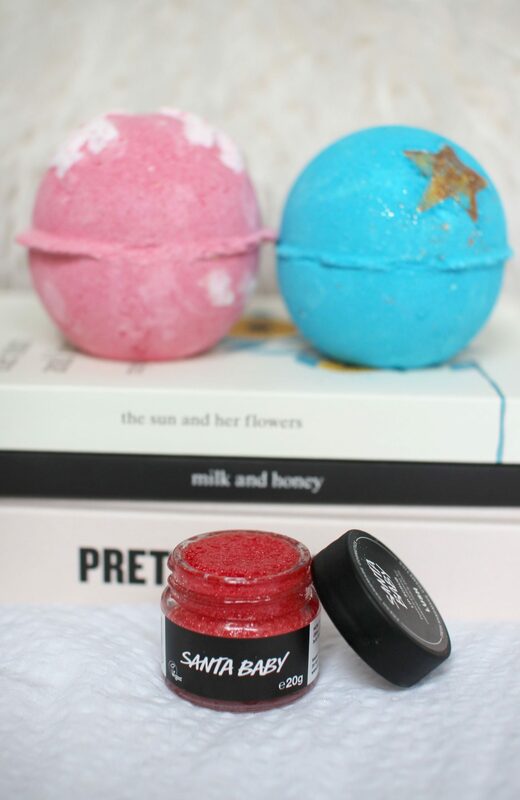 But, I popped into Lush the other day and picked up a few treats – these would be amazing stocking fillers for any lady (or man) who love baths and all things Lush. 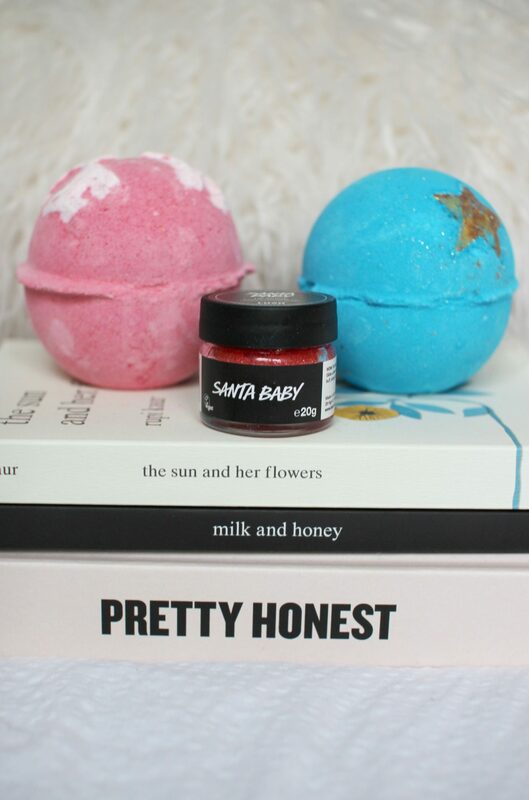 Firstly I picked up Lush’s Santa Baby lip scrub. I believe this is limited edition and you can only get your hands on it during Christmas. 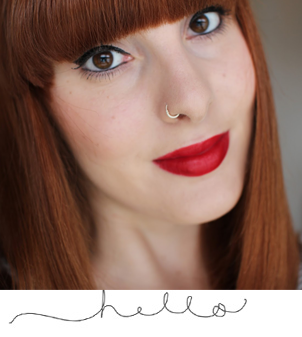 It’s the most gorgeous scented lip scrub – it tastes like coca cola, so delicious. I’m a big fan of their lip scrubs anyway, I love Mint Julips too! Secondly I picked up the limited edition Christmas Sweater bath bomb. A hot and spicy bomb made with sicilian lemon oil, mustard, coriander seed and ginger powders. Great for easing muscles and to warm your mood. Smells just like Christmas! And lastly, I picked up the limited edition Shoot For The Stars bath bomb. I’ve had this one before – it turns your bath into a sparkly blue dreamy explosion. Love, love, love. Made with honey-scented sparkles of Brazilian orange and bergamot waltz with swirling, golden stars, creating a world of cobalt colour. 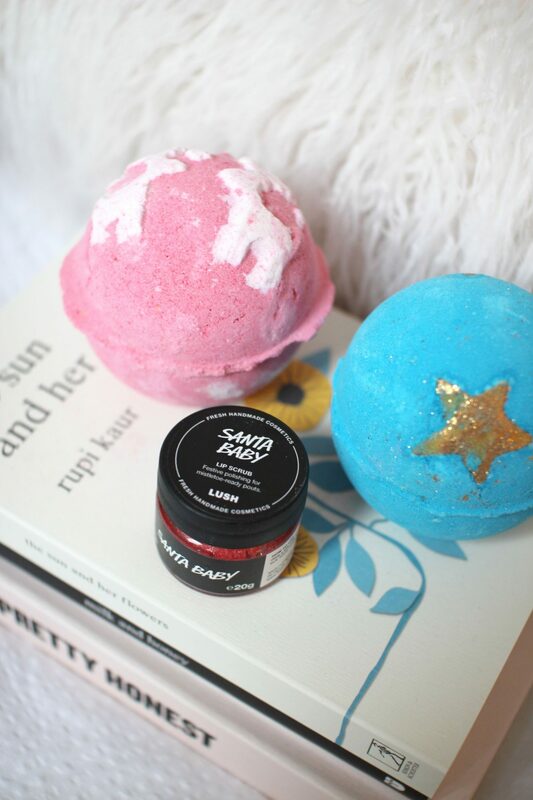 There are tons of Lush Christmas stocking fillers you can treat your family and friends to, or even for yourself! Luxury Lush Pud is a great one, as well as The Snowman and ThunderSnow. In fact they’re all pretty great! What’s your favourite Christmas Lush product?